Colour: Silver glitter on smoke mirror. A design like this is perfect for any eating or drinking area! 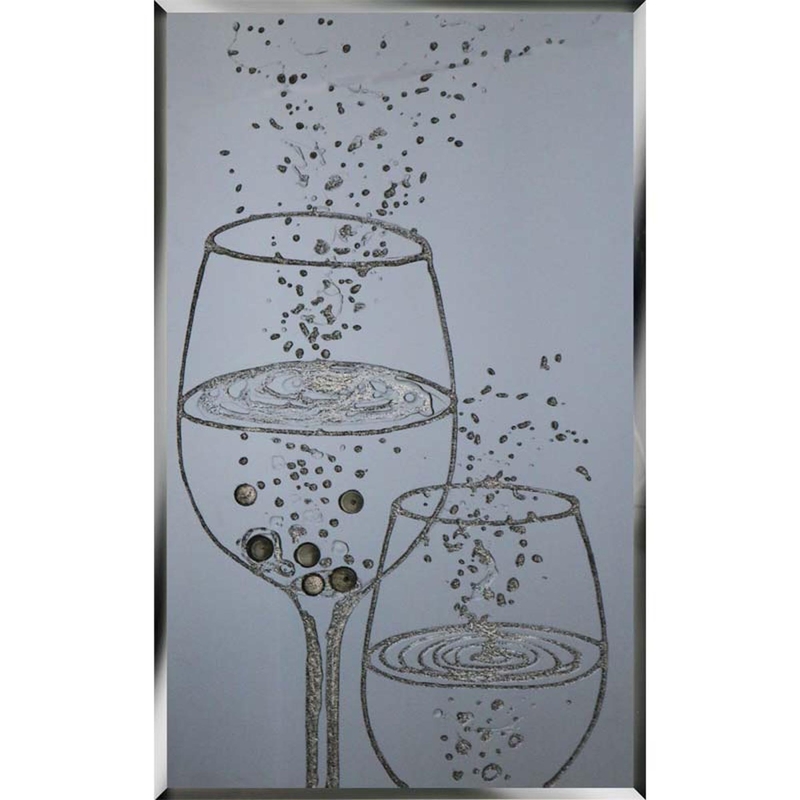 Being a decorative piece in your home and having practical abilities such as being a mirror, this is an amazing modern design fit for any home. Designed and hand made in the UK you wont regret purchasing this beautifully designed product. Custom sizes can be made. For further information on pricing, please contact our office on 01642 455589.